Fear (2005) explores how fear has shaped cities, parenting, and culture over the past centuries. 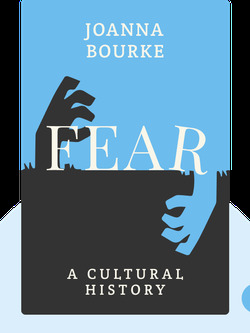 From the role of fear in war and sickness, to the design of public buildings and the response to the threat of nuclear power, these blinks give us the historical context we need to understand the nature of fear in contemporary society. Death is our greatest fear, and one that worsens when poverty strikes. Many people grow uncomfortable after spending too long in hospitals, retirement homes and cemeteries. These environments draw our minds toward the greatest human fear – mortality. Nearly all human fears can be traced back, in one way or another, to a fear of dying. Those afraid of spiders, snakes and crocodiles don’t fear the creatures per se, but rather the prospect that these animals could kill them. Similarly, people who live in fear of losing their jobs struggle with the deeper fear that they might lose their livelihoods, their homes and, in the worst case scenario, ultimately die after being forced to live on the streets. For thousands of years, rituals, ceremonies and beliefs celebrating the afterlife negated the human fear of death. But in the nineteenth century, these comforts were taken away from the lower class in the West, exacerbating the fear of death and creating pauperization. The bodies of deceased paupers were piled into mass graves, without tombstones or inscriptions to commemorate the dead. In addition, their bodies were covered in a caustic quicklime solution to speed up their decomposition. Graves of nineteenth-century paupers were also unprotected, making them easy prey for Victorian bodysnatchers who made a living from selling corpses to anatomists and medical students. Knowing that this was the gruesome fate that awaited their bodies after death, people grew more afraid of dying than ever before. Indeed, the fear of dying was enough to kill people in itself – an elderly woman by the name of Susan Starr died from shock in 1871 after social relief services threatened to cut off her financial support. The human tendency to panic in fear shaped modern public architecture and engineering. Society disapproves of fearful children, and typically blames mothers. Fearsome nightmares were blamed on a lack of blood flow to the brain until Freud argued that they arose from our own psyche. Unstable societies are breeding grounds for fear and panic. Intense fear during combat leads to both lasting illnesses and courage-boosting adrenaline rushes. The threat of nuclear war terrified entire nations. Fears of life-threatening illnesses change as medicine evolves. Start your free Blinkist trial to get unlimited access to key ideas from Fear and over 3,000 other nonfiction titles. With bitesize text and audio, it's easier than ever to find the right ideas to transform your life.